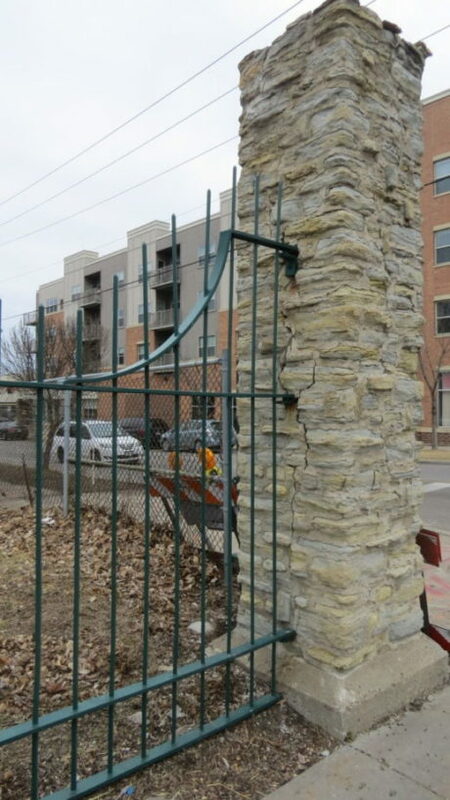 Representative Karen Clark has introduced bonding bill (HR 1073) to secure the funds necessary to complete work on the Pioneer and Soldiers Cemetery fence along Cedar Ave and Lake Street. The money would cover the cost of disassembling the limestone pillars, reassembling them using the correct adhesive, and capping them with a protective cover that will prevent erosion by keeping water from seeping into the limestone. The funds will also cover the cost of replacing a section of “historic” chain link along the 21st Avenue side of the cemetery with a section of decorative fencing. Senator Jeff Hayden has introduced an identical bill in the State Senate (SF 1355). Please consider contacting your Representative and Senator to encourage them to support these bills. If you are represented by one of the bill’s sponsors, please send an email or phone call thanking them for helping us finish this project. Previous Topic: David Buel Knickerbacker, 1833-1894 1871: Cottage Hospital began near Mills David started it! “Goliaths” own it now!